I would like to express my extreme love for Lifetime movies. I can not even begin to tell you how many I have seen. And yet - I can always find a new one on. I also can not begin to tell you how many I watched (and enjoyed) over the last three days but it is MANY! Except for on the 4th - when they thought it would be fun to only run Christmas movies? I'm not sure about that. I did watch a few and I LOVE Christmas movies - but not in the summer. Do you have a favorite Lifetime Movie? And who is watching "The Bachelorette"? And who are you rooting for? I'm going to go with Jason. I think he's cute and you can already see he is a great dad. I think he would make a very sweet and kind husband. Jesse is kind of fun and I did LOVE his family (they almost made me cry). I'm just glad Jeremy is gone - he bugged me. Who is your fav? That's about it. This is what only leaving the house to go to Wal-Mart and to church in three days will do to your blogging life. But oh it was great while it lasted! I would love to see her pick Jason,only because she won the heart of his son....And I don't think she would break his little heart...Just my thought! But, Jesse would be fun too...Can not wait until tomorrow night..
3. Oh did I mention that he was from Texas? Anyway, I really like Jesse, he seems really sincere. Jason is sweet but, I fell in love with Jesses parents. It was so cool that they were open about their Christian walk. Tomorrows the night. I think either way she will find a wonderful husband. Praying for you! I liked Jeremy! Boo hoo! ; ) I think she'll go for Jason...he's a sweetie! I'm pulling for Jason!! He's cute, sweet, funny, and a great dad....what more could she want??? I do like Jesse too, and there was no almost crying for me on his hometown date...I was bawling! They were so sweet and you can tell how much they love him and what an answer to prayer he is! Cannot wait for tomorrow night!!! Jason has been my favorite for a long time! The best Lifetime movie ever is Twisted Desire! My college room mates and I recorded it and watched it about a million times! I'm going with Jason, he is precious. Jasons' parents were on a flight last week that my daughter was working and she said they were sooooo sweet! Go Jason! Hi Kelly. Didn't know you were a Bachelorette fan! I love that show!! Jason is adorable and I hope she picks him. Go check out my past postings on the last 2 weeks episodes. Glad you had a relaxing weekend. Sometimes (most of the time), I'd rather stay home than go out. I am totally pulling for Jason! For some reason, I can't get into Jesse??? He just isn't cute to me. I really like the fact that Jason is such a great dad! Hope you're feeling better each day! Glad you had a relaxing weekend, my dear!! I am watching the Bachelorette! You thought Jeremy was annoying? I kind of liked him & he was HOT! But, I still have last weeks episode on my DVR - I'll have to watch it and see why he got the boot! I'm glad you had a good 4th & CoNgRaTs on your pregnancy! I'm SO happy for you! Maybe she'll do what we all want her to do. As for Lifetime movies....too many favs to pick just one. I want Jason to win!! The show is so good this year. He seems like a great dad and I think they would make a good family. Jason has been my fav since the very beginning. I think he is so sweet and I love seeing him with his son! I am not really a Bachelorette fan so I cannot comment on that but I do love me a good Lifetime movie every now and then. I think one of my favorites as a teenager was the "The Face on the Milk Carton". I read the book and just thought the movie was so good back then. I like Jessie and Jason, but I think Jason is a better fit for DeAnna. I agree with you about Jeremy, I am glad he is gone. I am SO looking forward to the finale tonight!! I gotta admit, I was sad to see Graham go :( I'm guessing she'll pick Jason, though. Jesse is cute but doesn't seem like he's ready to settle down. I love Lifetime movies as well! 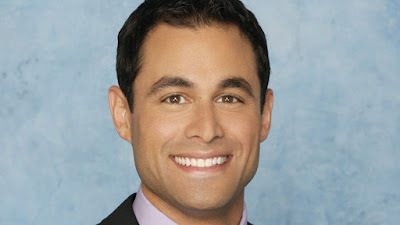 I am also rooting for Jason!! Glad you had a great weekend! I am rooting for Jason. I have loved him from the start. Jeremy bugged me too...thank goodness he is gone! I hope that you are feeling better ;)! I do not watch the Bachelor, but I enjoy a Lifetime Movie from time to time =). I have been watching it off and on but I have loved Jason since the 1st episode! I think he looks like a great father and if very sweet! I am going to have to go with jason because he has been away from his boy for so long that it would be evil of DeAnna to keep him away for so long if she didn't think he would be for her in the end and I don't think DeAnna is evil - I think she just wants to be in love. Jesse is young and carefree - he'll get over it soon enough. I think she really should have picked Grant.. he was my pick, but evidently there were more issues than just the mom saying he was non committed to relationships. so, I'll pick Jason, which means she will pick Jesse, I'm always wrong. Jason has been my pick since the beginning!! I can't wait for tonight to see what happens!! I really thought it was going to be between Jason and Jeremy in the end. I have no idea what she's going to do! I'm guessing she'll pick Jason. I am totally 100% for Jason!! I didn't like Jeremy, so I am glad he is gone! I can't wait for tonight! :) But, I saw on the preview that Jeremy comes back tonight!? Oooooh, the drama. I love it! I'm routing for Jason all the way!!!!! I've been on Team Jason from the very beginning. I even went on-line before the first show to read about all the guys and picked him out. I know, kinda pathetic. I am excited it's finally finale night because after last week's episode, I was dying to know who she picked! I was laying in bed and told my hubby that I am 100% the sappy viewer that ABC loves because I really want to know how it ends! ;) I know, I'm a sucker. I want to marry Jason if she doesn't! ! I just bawled when Jason and his son were reunited...and when he met Deanna! I'm not a big Jesse fan...not sure why!? Lifetime movies are the best! My favorite....I don't know the name but it stars Jo from Facts of Life...she is a career girl then has a car wreck and wakes up a mom and wife. That's a sketchy explanation of the movie...but it's good!! Its a Christmas movie too...so maybe you saw it this weekend. Have a great day! Kelly ~ I just got my first Ballard Design Catalog...OH MY, OH MY, OH MY!!!!!! I will take one of everything please! I haven't watched the bachelorette... I actually don't watch tv that much... BUT... I do LOVE a lifetime movie! LOL! I don't really have a favorite, and am almost embarassed to say, but I am partial to the cheezzzy love stories! :-) Not too long ago they ran the Love Comes Softly series which I loved because I had read the books years ago! I am just a sucker for a love story I guess! Haha- love your post. I too posted on the bachelorette today! I hope Jason wins too! Oh, I so hope Jason wins... I think he is just PRECIOUS! Although, I did love Jesse's family! I hope she goes with Jason! I don't think Jesse is ready for marriage. He needs to settle down and know where he is going first, before getting attached to someone. Definately Jason! Who wouldn't want a man like that. Accomplished and a great father! Love Love Love the Bachlorette! I haven't been this excited about a Bachelor/Bachelorette finale in a long time. Also, Kelly!! I was on vacation when you posted your wonderful news. CONGRATULATIONS! I'm so happy for you and your husband and can't wait for the baby blogs! 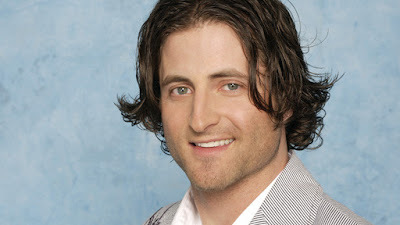 I love Jason and am hoping he will be the one she picks. I love your blog, Ive never posted before but decided to on this. Congrats, on your news on being pregnant. Guilty. I recorded two Christmas movies this weekend. I love Lifetime movies, too! They are always good. Christmas movies? What in the world? You know, I was totally rooting for Jason, but Jesse grew on me and kind of changed my mind. I'm glad she picked Jesse. They seem really happy. Hope you are feeling ok...praying for you now. I watched all 3 hours of the Bach finale last night and was so sad for sweet Jason. I have to admit that I did really like Jeremy, especially since he's a TX boy!! I hope that she doesn't regret the decision she made 6 months from now giving up the stability that she longed for at the beginning of the show. I watched "The Bachelorette" for the first (and last) time last night because of this blog. I got a kick out of DeAnna's father--the fact that Jesse had shacked up with a former girlfriend was not an issue, but hey, no long hair allowed! DeAnna's sister would never have made it on the show because she isn't beautiful enough. Everything about it was superficial. I've just recently found your blog and enjoy it. I couldn't keep quiet about the Bachelorette. The best season ever!!! I'm going to go through withdrawl! I was for Jason. He really seemed to have it all. But I hope it works out for them. Me and one of my good friends who also blogs were text messaging during the whole show. We were bummed out. I also recently found your blog (friend of a friend thing) and love it! I was on team Jason - and I keep coming back here to see what you thought of the outcome. I was SO sad!